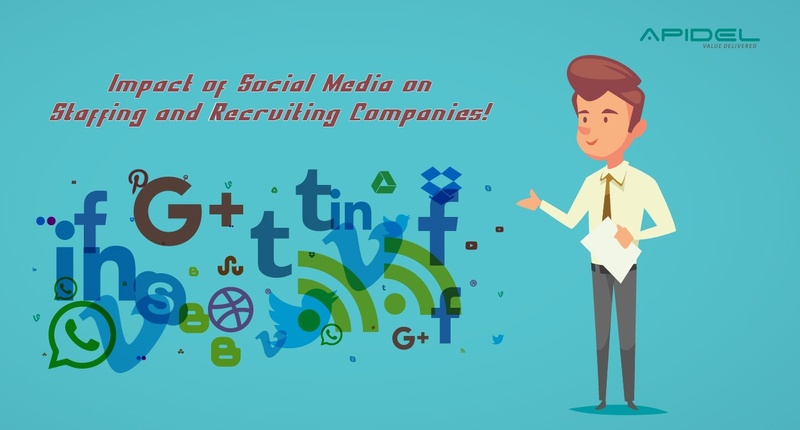 Impact of Social Media on Staffing and Recruiting Companies , Why Its Important !! Hello Reader, did you know that each month, 300 million people use Instagram, 288 million use Twitter; and an amazing number of 890 million use Facebook each day? Since the foundation of the social media era, communication has become extremely convenient and effective. In the past Ten years or so, Social media has made a tremendous impact that has affected people of almost all age groups; and it has been felt across demographics. This shock wave has created an impact all around the world, such that it’s become hard to imagine life without social media. How does Social Media affect Staffing and Recruiting Companies? Yes! It’s true that social media has transformed the staffing industry in a big way. Social media accounts like Facebook, Twitter and LinkedIn have become a great pool of information for organisations to extract. Platforms like Facebook, Twitter and LinkedIn; mostly LinkedIn, help an organization to develop a better network connection with the consultant, which is not limited to mere contact information; but goes deeper. Another online recruiting strategy staffing agencies use is called “Search Engine Optimization (SEO)”. They create keyword rich company profiles and job postings to facilitate job searches by consultants. The company invests on providing a superior back link for more online traffic. Recruiting through social media, when done right, is a great tool for recruiting top notch consultants. What should be your approach as a Consultant? You MUST create your Social Media Presence, as companies will go through your profile; and it can play a vital role in your selection. Try to focus more on social media sites like LinkedIn which are professional platforms now-a-days for recruiters. These platforms provide details regarding your work experience, your skills, your achievements, which previous organization have you worked, etc. Be accurate with your information on social media platforms, as during the selection process, companies tend to look at a consultant’s social media footprint. Check their posts, their interests, notice the good and bad things; and include all these factors in your hiring process.